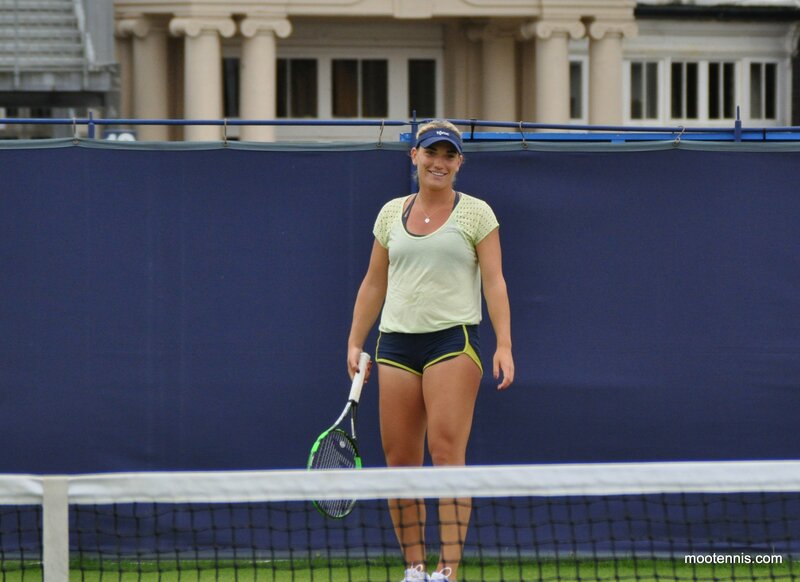 This is the final instalment of practice court pictures from Tuesday at the 2015 Aegon International in Eastbourne. If you missed out on any of the previous posts, you can check out photos from Saturday and Sunday on the practice courts by clicking on the links. Caroline Garcia and Eugenie Bouchard were practising together with their coaches looking on. Garcia soon left and Bouchard stayed on with Sam Sumyk to practice drive volleys. 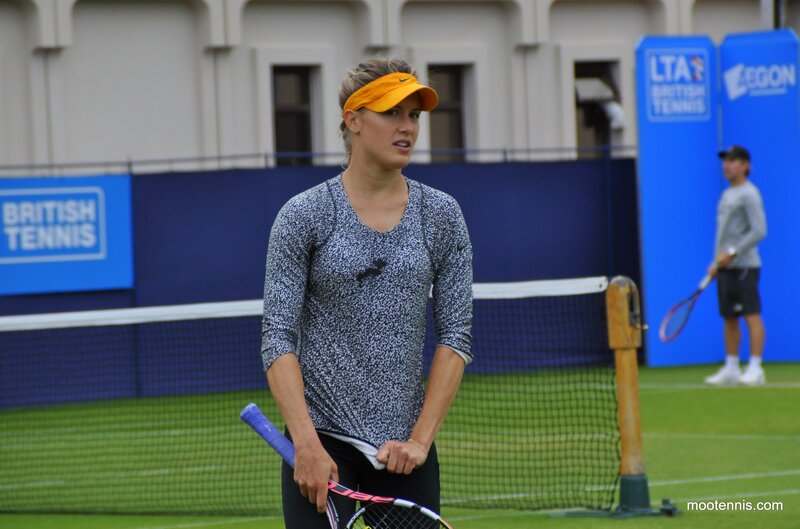 Genie attracted a reasonable crowd on the practice courts. Doubles partners, Kristina Mladenovic and Timea Babos were practising together. 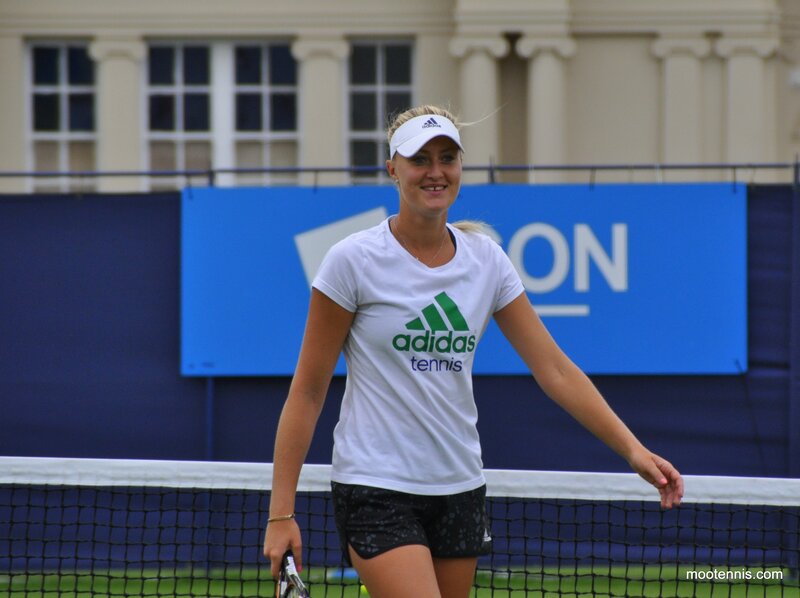 Mladenovic would have been in Eastbourne qualifying, but missed out as she was still competing in Birmingham. They are such a nice pair and were constantly smiling, laughing and joking. I was surprised to find out they lost their first round doubles match. 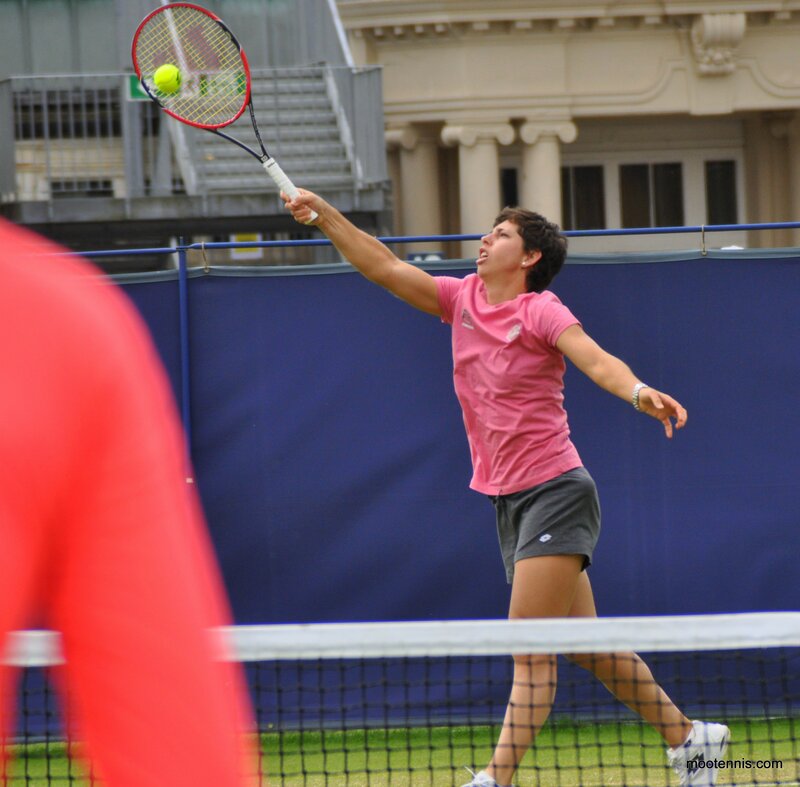 Garbine Muguruza and Carla Suarez Navarro replaced Babos and Mladenovic on the practice court and were joined by both coaches. 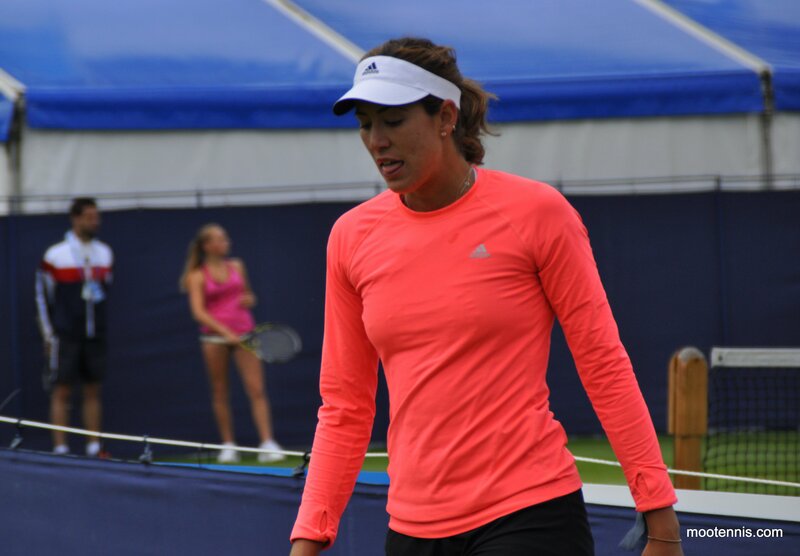 They both looked a bit glum, particularly Muguruza. 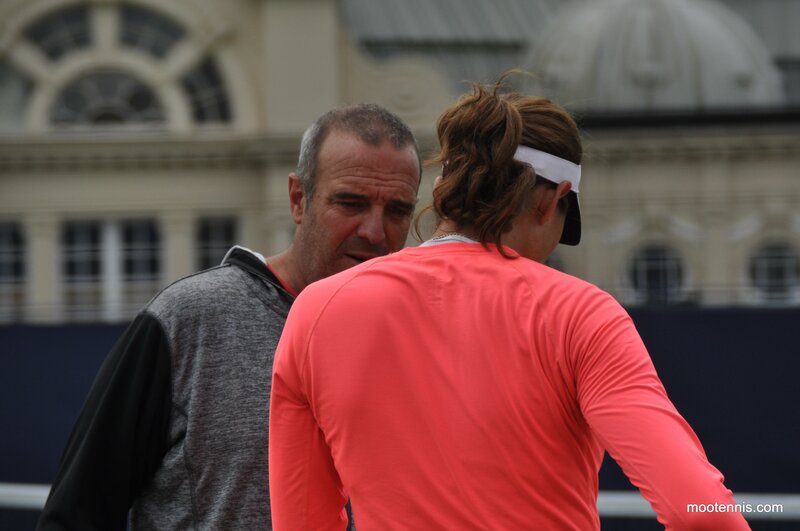 Her coach was chatting tactics and at one point (in another language obviously) and she didn’t seem to register. 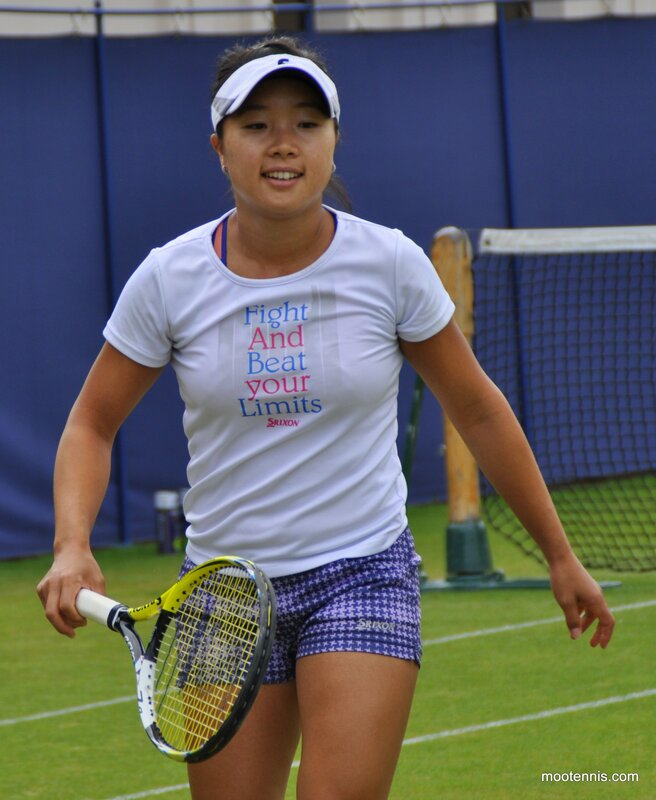 Kurumi Nara was on the end court playing with a hitting partner (?) and doing plenty of running around the court. 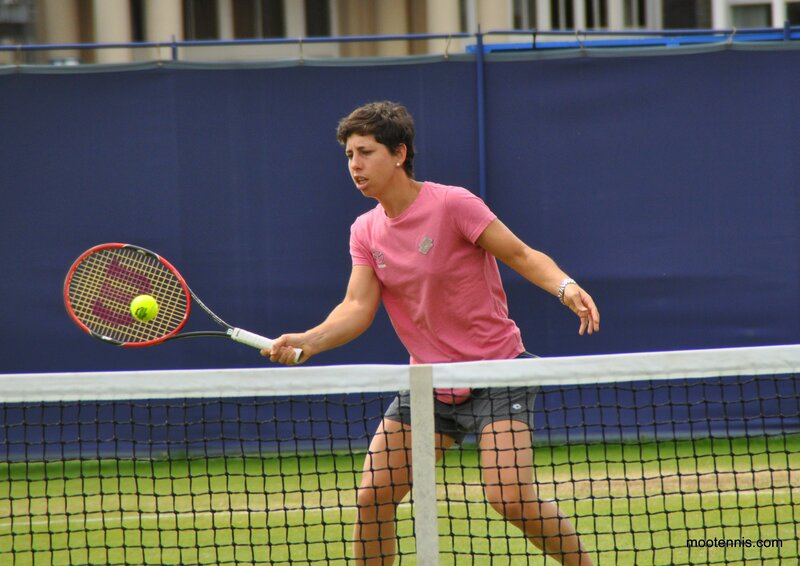 June 24, 2015 in Eastbourne, Tournament Report, WTA. No problem. Glad you liked the picture!